To leave a special message of condolence please click on "Share Memories". Add your memories to the guest book of Father John Savio. Father Savio was one of my favorite clients at the accounting firm where I used to work. He was always so wonderful to talk to. He was a great joker and loved to pay compliments. He had a great laugh. Such a wonderful person. I will miss him! Father Savio will be truly missed by everyone who know him. He was so kind. I always loved his homilies and jokes. Please take comfort in knowing he is with his Father in Heaven. 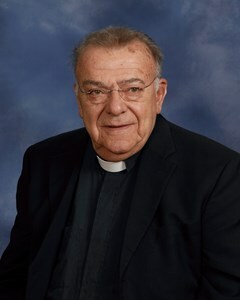 Fr John was a great priest, friend & neighbor. He will remain in our hearts forever.